Malaysia is well known for its iconic Petronas Towers and glitzy capital city, but there’s a lot more to the country than commercial high-rise buildings. Some of the best Malaysian islands are also home to spectacular deserted beaches and lazy vibes, rivaling those in nearby Thailand, Indonesia and The Philippines. Some of the best Malaysian islands are still rather obscure, while others have become staple honeymoon or getaway destinations, well-known for providing a combination of luxury, gastronomy, and culture in a tropical setting. With so many islands in Malaysia, you may feel confused about finding the perfect paradise spot that best suits your needs and budget. 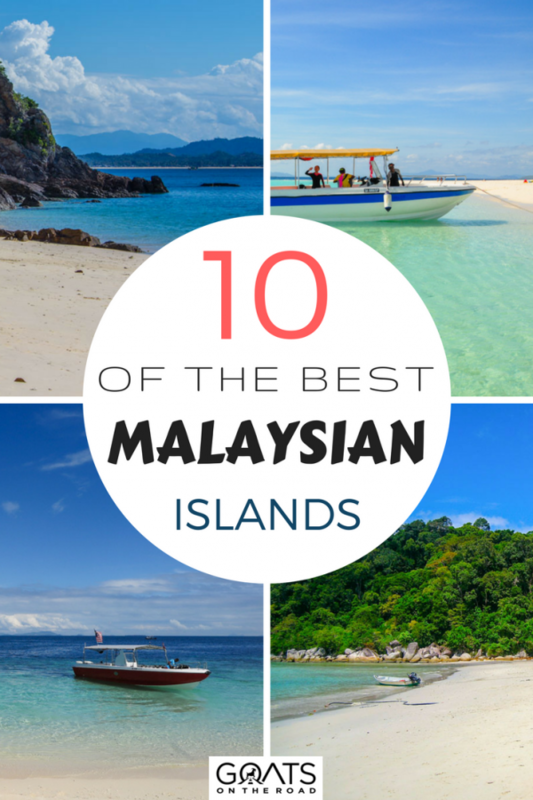 Check out this list of 10 best Malaysian islands for some major inspiration. It is easy to lose track of space and time on Tioman, one of the best Malaysian islands, and one of my favorite spots in all of Malaysia. This laid-back, idyllic island with gorgeous sandy beaches is surrounded by a lush jungle and although I visited during peak season, there were times when I felt that I had the whole island to myself! If deserted beaches with turquoise waters, magnificent waterfalls surrounded by a jungle canopy and easygoing village life is your thing, look no further! 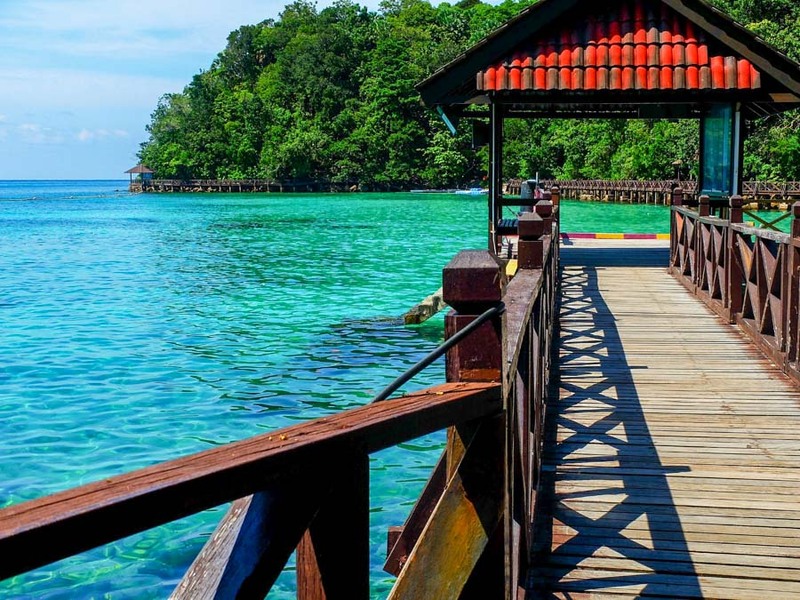 There’s a wide variety of accommodation available on Tioman ranging from luxury resorts to backpacker beach chalets which makes this island suitable for most budgets. Tioman can be reached via a 2-hour ferry ride from Mersing Jetty. You can find more detailed information about Tioman here. Pulau Mabul is famous for snorkeling, and even more so for diving which is the main activity on the island. Located off the coast of Sabah in Borneo, the island is known to be a great site for muck diving and is especially popular with macro photographers. Mabul island is very small and you can easily walk around it in about an hour. 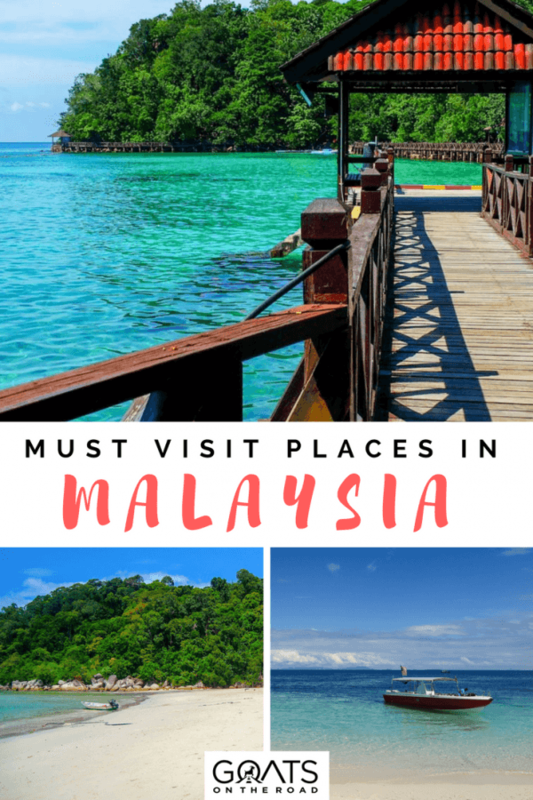 Although there are better beaches elsewhere, I’m including it on this list of best Malaysian islands because of its high concentration of marine life which makes it a fantastic destination for fans of the underwater world! 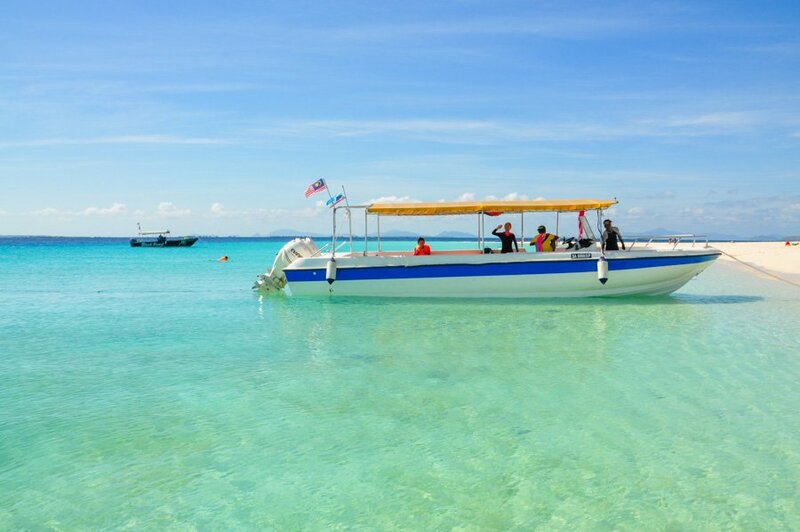 You can reach Mabul island by taking a boat from Semporna in Sabah. Penang is one of Malaysia’s most popular destinations and one of the best Malaysian islands to visit, especially since George Town, its capital, is Malaysia’s second largest city and a UNESCO World Heritage Site. George Town is also a very popular culinary destination with diverse street food options. This, together with its unique architecture and quirky street art, makes the city worthy of its reputation as Malaysia’s hub for food and art. No matter where in the world you are planning to travel, make sure to have insurance before you set off on your adventure – it’s the one thing you should always pack. World Nomads is a popular insurance choice among backpackers, travellers and adventurers. Just enter your information below to get a FREE quote. Safe & happy travels! 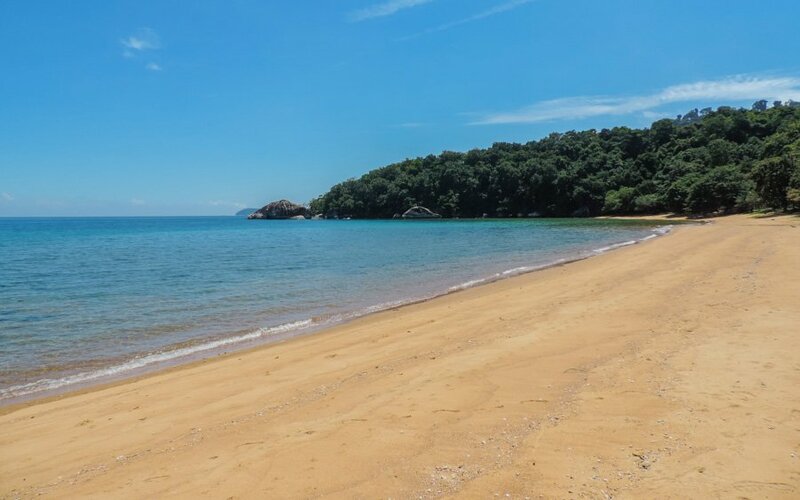 Whilst George Town itself lacks island vibes and beaches, these can be found just a bus ride away from the capital in Batu Ferringhi and Tanjung Bungah where resorts and hotels line the seaside. Further afield, Monkey Beach has a good stretch of white sand which however, can get pretty noisy with local tourists on weekends, so best visit during the week for a quieter experience! You can get to Penang island using Malaysia’s efficient bus system as well as by train or by plane from Kuala Lumpur. Ferry services to Penang Port are also available. The two main Perhentian islands (Big island and Small island) provide different types of accommodation options. The smaller island caters mainly to the backpacker crowd where parties on the beach are popular. Tourism on the larger island is focused more towards families and those wanting to avoid the party scene. 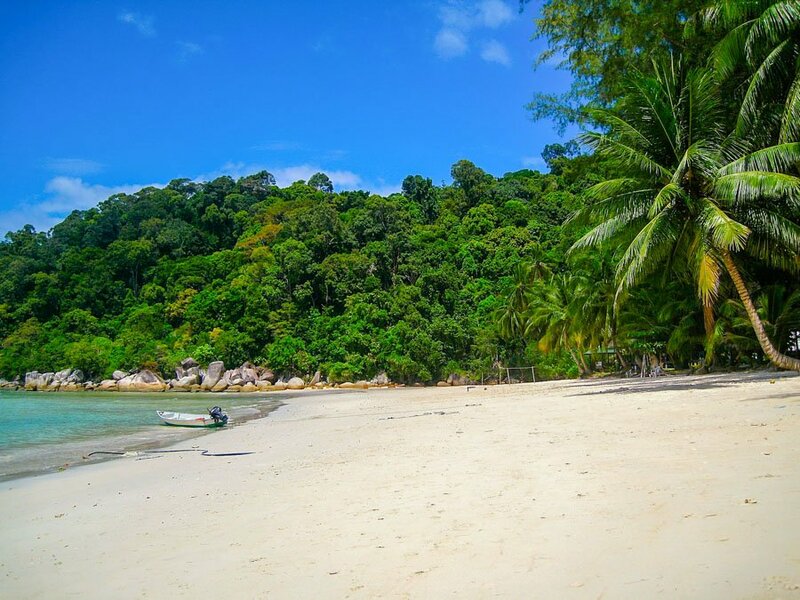 The Perhentians’ spectacular beaches, blue-green waters and rich jungle make them some of the best Malaysian islands for those wanting to soak up the sun and relax on the white sands. Sounds good right? Even better is the fact that the islands offer some great snorkeling and diving opportunities, very often with excellent visibility. 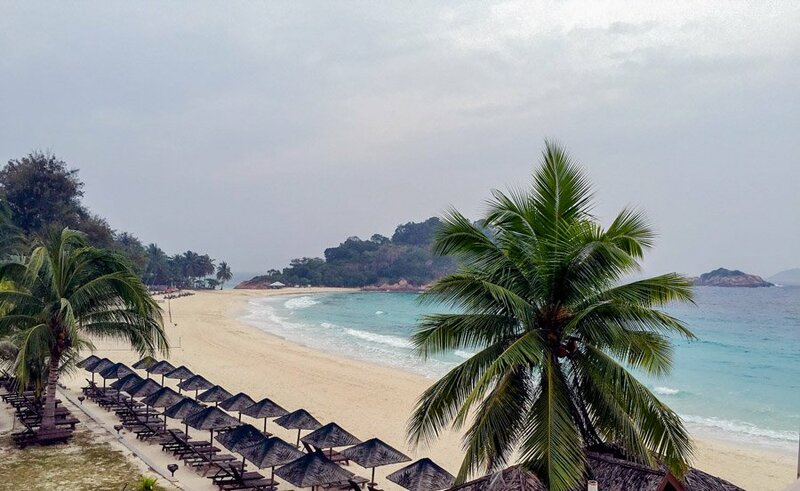 The Perhentians have become rather popular with Malaysian locals and backpackers alike, so be sure to book accommodation in advance if you’re thinking of going there during peak season (June – August). To get to the Perhentians, take a boat from the jetty at Kuala Besut. Water taxis provide transfers and trips between the islands. 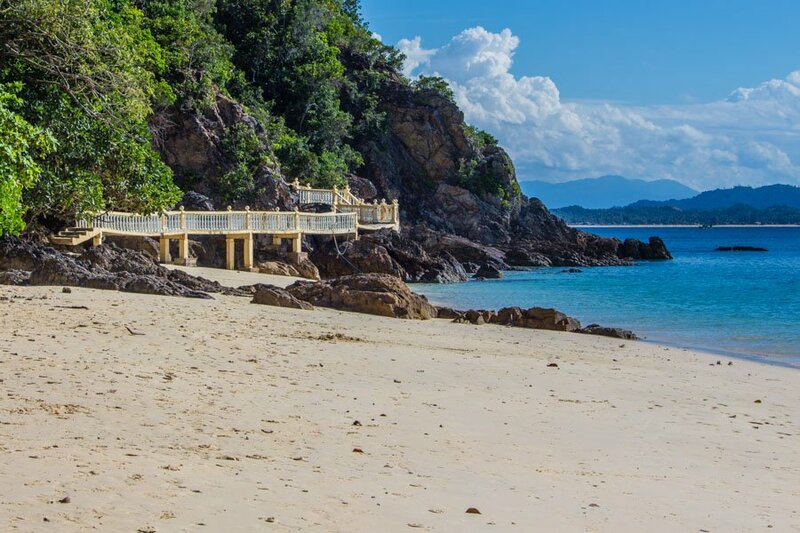 This sleepy little island has some of the prettiest beaches in Malaysia and is considered to be one of the best Malaysian islands on the west coast. A combination of fishing villages, resorts and dense jungle result in a compelling destination which is quiet during the week, making it a great place in which to relax. The best way to explore the island is by motorcycle, stopping every so often to admire the view or to take a dip in the pristine waters. 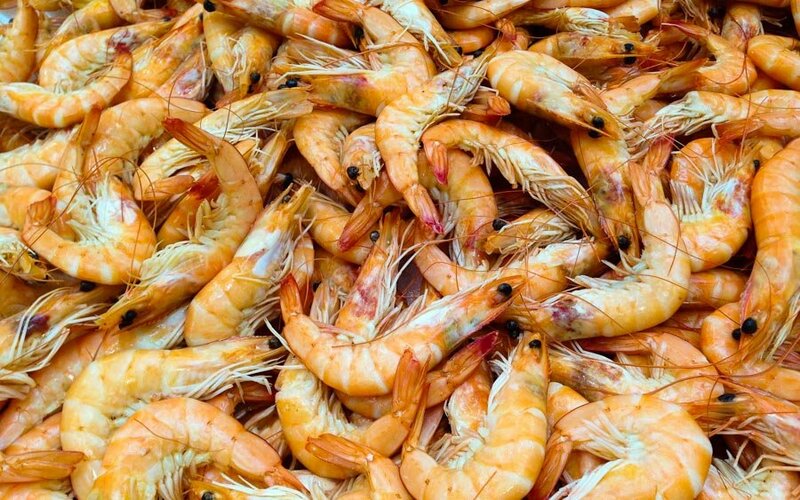 If you’re a lover of seafood, the local produce is always fresh and tasty! Pangkor is a 40-minute ferry ride away from Lumut Jetty with departures every half hour. This tropical gem is actually an archipelago of about 100 islands in the northwest of Malaysia with Pulau Langkawi being the largest and most densely inhabited. The island is divided into several districts and caters to travelers of all budgets, being home to backpacker hostels as well as luxurious all-inclusive beach resorts. It is also one of the best Malaysian islands for a honeymoon retreat with exclusive resorts in Datai Bay catering for romantic getaways. If you’re looking for a good nightlife scene and diverse restaurants, your best bet is to base yourself in the picturesque Pantai Cenang with its beachfront bars and lounges. There are plenty of activities on the island ranging from bathing in waterfall pools, jungle trekking, cable car rides, beautiful rice fields and gardens, and of course lots of beaches with water-based activities. Langkawi has its own international airport. You can also get there by ferry from several other destinations in Malaysia. Laid-back, little Kapas is my favorite on the list of the best Malaysian islands, being home to several pristine beaches and a very relaxed vibe. Kapas actually means cotton and it’s not difficult to understand how the island’s name came to be. The soft sand beaches are as white as can be, and also idyllically empty most of the time! There’s not much to do on Kapas except lounge on the white sand and swim in the crystal-clear waters, but why would you want to do anything else here? If you’re feeling adventurous, you can trek up to the other side of the island through a dense jungle, but the beaches are far better on the resort side. Kapas is truly a paradise island which seems to have remained undiscovered by mass tourism. The small number of resorts cater more to the backpacker crowd and it is even possible to camp or sleep in a dorm. The luxury here is having your own private pristine sparking white-sand beach. Kapas island is accessible via ferry from Marang Jetty. In contrast to Kapas island, Redang does not cater to the backpacker crowd but is home to some rather fine resorts which are more up-market. There’s no public transport on the island so you’re generally limited to staying around your resort unless you feel like hiking through hot and humid jungle paths or you charter a boat. That’s not really a problem though. The coastal areas around the island are top snorkeling sites as the coral reefs are truly gorgeous. Diving is also a popular activity here and you can rent kayaks if you wish to venture further afield. If you want to experience a pristine underwater world, this is the place to be! Redang Island is accessible via speedboats and ferry boats from Merang Jetty. Sipadan is easily one of the best Malaysian islands to visit if you’re a scuba diver. The diving here is top class and it is reputed to be the world’s best diving site. This is due to the island being surrounded by a very rich coral reef where all sorts of reef fish can be spotted. Snorkeling around the island’s reef is also an excellent activity for non-divers who can normally join dive boats and snorkel in the shallow waters around the dive sites. You are no longer allowed to stay on Sipadan island since it is now a protected area, so accommodation options can be found on nearby Mabul island (see point no. 2), Kapalai island or mainland Semporna. 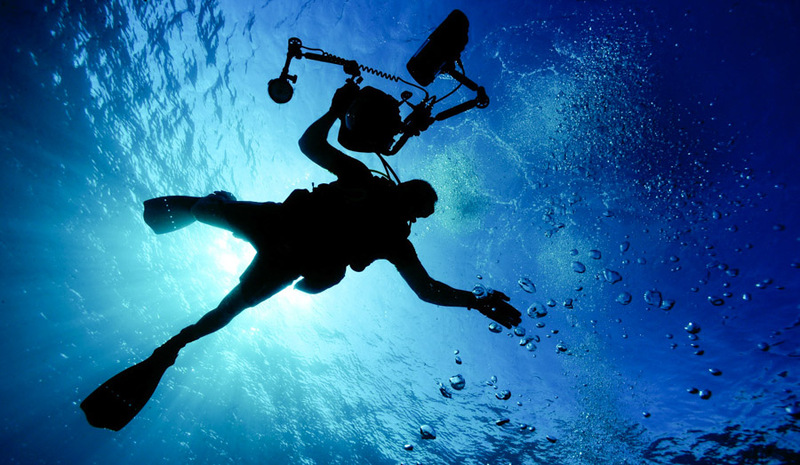 The number of daily divers to the island is capped and you are only permitted to stay on land during a certain time frame, so it is really important to plan your dive trip carefully. 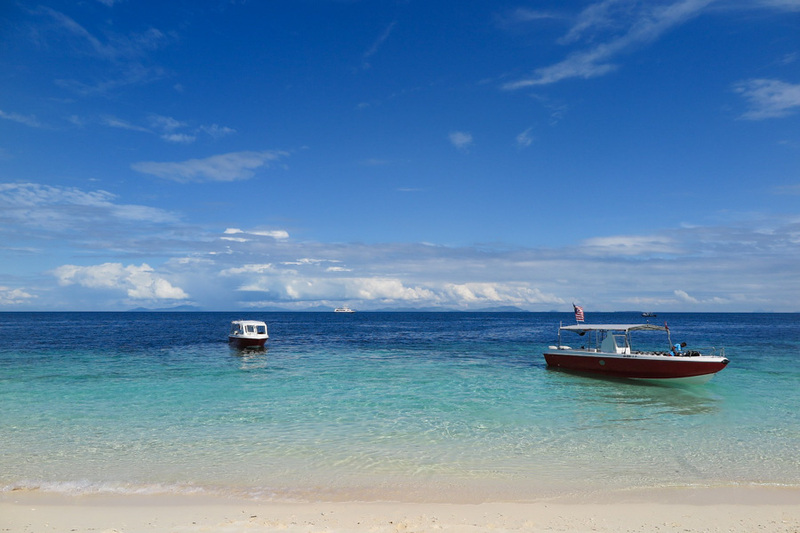 Pulau Tenggol is another pristine top diving destination with about 20 dive sites all around it. The snorkeling here is superb and the white sand beaches, beautiful. The island is tiny and there are few resorts on it, all of which fully cater to the needs of their guests since there are no other facilities. Normally guests choose to take all-inclusive diving and snorkeling packages offered by the resorts. The island is very quiet and secluded when compared to the other best Malaysian islands so do not expect crowds! What you can expect instead is scenic landscape and an amazing underwater world with well-preserved corals and an interesting marine life. 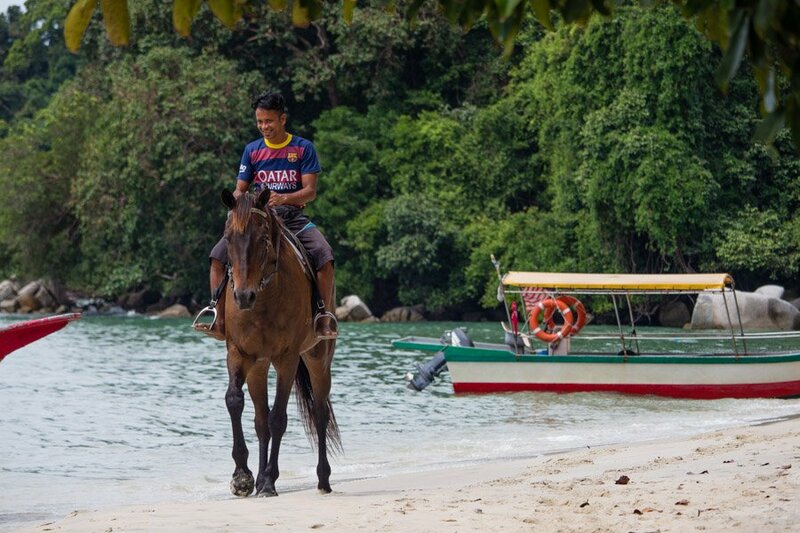 You can get to Pulau Tenggol by arranging a transfer from the mainland with your resort. With so many islands in Malaysia, it is sometimes difficult to determine which one to choose. 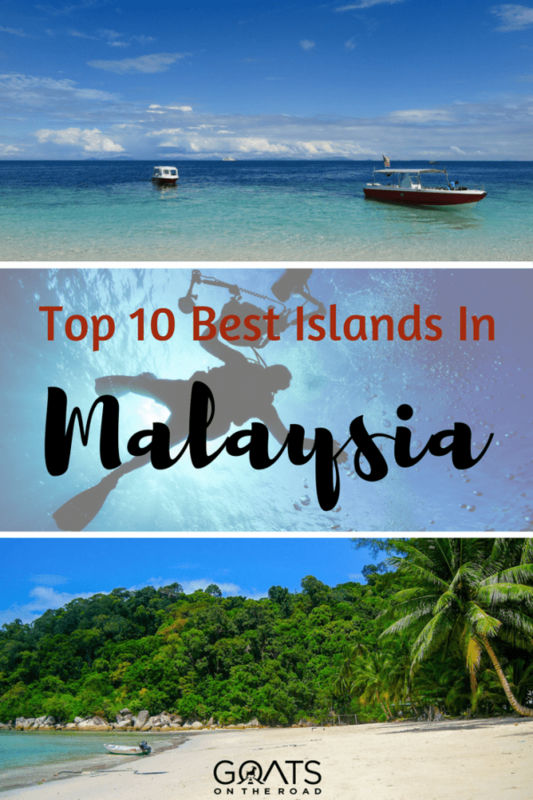 I hope that you find this list of best Malaysian islands useful in helping you make the right choice for a perfect vacation! 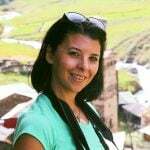 Hailing from the tiny island of Malta, Michelle is a maniacal travel planner. A pharmacist with a passion for travel, Michelle has traded her full-time job for an indefinite trip around the world with her partner in crime, Nikki, with whom she has also co-founded the travel blog Cheeky Passports. They have travelled to over 60 countries on 5 continents.